He was sworn in by State Governor K Rosaiah at a ceremony attended by 32 ministers and other party dignitaries. Jayalalithaa loyalist O Panneerselvam was on Monday sworn-in as Chief Minister of Tamil Nadu, succeeding his party supremo two days after her conviction in an illegal assets case. 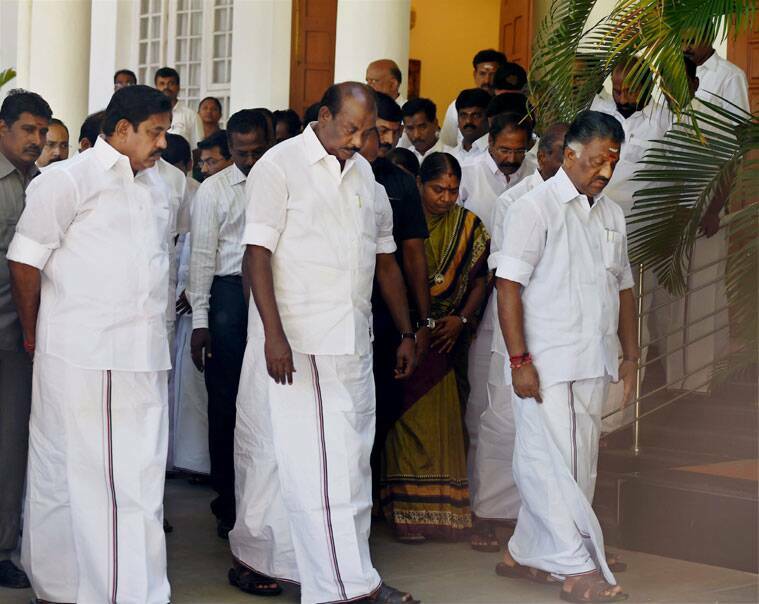 Two days after J Jayalalithaa was convicted in a disproportionate assets case, a tearful O Panneerselvam, a loyalist of the former Tamil Nadu chief minister, was sworn-in as her successor at Raj Bhavan on Monday. Panneerselvam was unanimously elected as the leader of the AIADMK legislature party Sunday. The 63-year-old has taken over as CM for the second time — his first term, which lasted six months, was in September 2001 after Jayalalithaa had to step down following a Supreme Court direction in the Tansi land deal case. 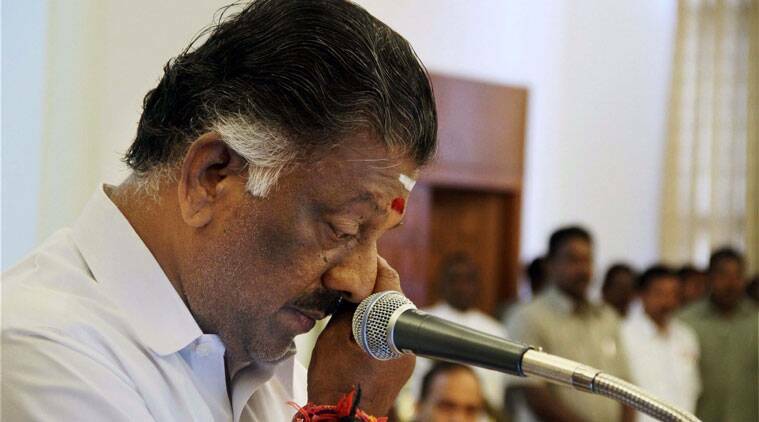 As Governor K Rosaiah administered the oath to Panneerselvam, the new CM could be seen wiping his eyes. The swearing-in ceremony, for which the media and the opposition parties were not invited, witnessed emotional scenes as several MLAs broke down, people present at the venue said. Along with Panneerselvam, 30 ministers took oath on Monday. Panneerselvam will be holding key portfolios including home, finance and public works departments. “It was a mournful swearing-in ceremony. When Amma is behind bars, nobody expects us to celebrate,” said an party MLA. 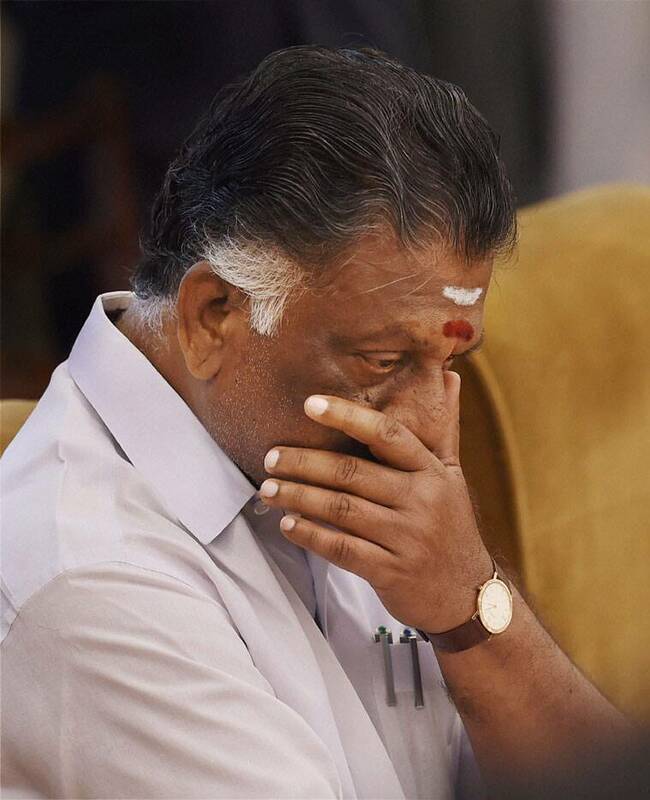 After the ceremony, the governor could be seen comforting Panneerselvam. Those who know the new chief minister describe him as a god-fearing man who prays almost every day. Though he was labelled a rubber stamp CM in 2001, he is known for his patience and friendly behaviour towards MLAs from his own parts, as well as the opposition. His first political stint was as a municipal ward secretary. He later contested and won the post of municipality chairman in 1996. When Panneerselvam was elected as CM in 2001, it was his first term in the Tamil Nadu Assembly. Hailing from Periyakulam near Theni in the southern part of Tamil Nadu, he is the eldest among three sisters and two brothers.